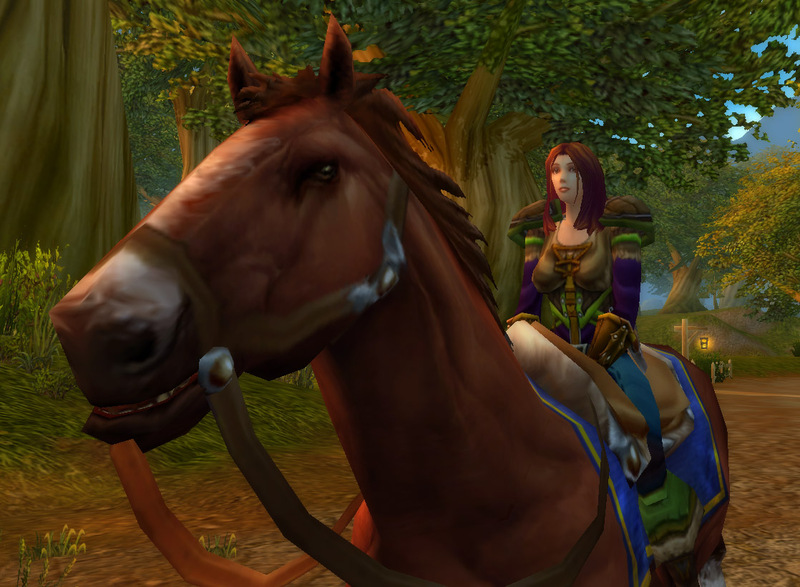 One of our Tgiving goals here at Chez Amrauch was to get our Alliance characters to 40 and buy mounts. Kat’s brother Ian graciously donated some gold; I had 75g when I hit 40, so I was close, but it certainly would have taken me another week or so at least, even if the auctions worked in my favor. Kat was even further behind so who knows when she would have broken the barrier. So I haven’t named the horse yet but she handles fine so far. 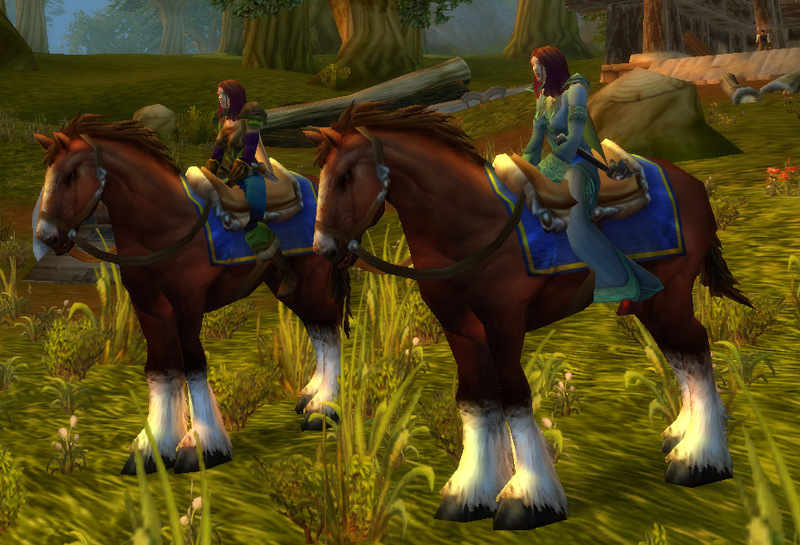 In any case, we both liked the same horse, which is typical, since our characters look alike too–same color hair, same face. Different clothes because I’m a rogue and she’s a priest, but still. My excuse is that I have a thing for redheads. Her excuse is that she is one.